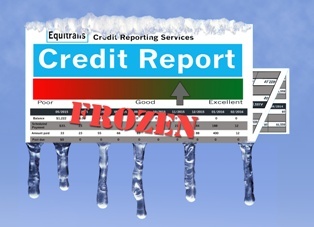 When to Consider a Security Freeze on Your Credit Reports | The Consumer Law Group, P.C. Learning that your personal financial information may have been stolen from the credit reporting agency Equifax probably has you running to Google to find out what you should do about it. One action you may consider taking is placing a security freeze on all of your credit reports. Many people have done this in the wake of the data breach and Equifax has even temporarily waved the fee for doing so. We explain how to freeze your credit and tell you about some potential downsides to doing so. According to the Federal Trade Commission (FTC), you may want to consider freezing your credit when you are concerned about identity theft or think someone may have accessed your credit report without your permission. Another reason for a security freeze is a mass data breach such as the Equifax breach or one affecting an online retailer or major chain store. You will have to contact each of the credit reporting agencies—Equifax, Experian, and TransUnion—separately to request a freeze. You will have to supply information, including your name, Social Security number, date of birth, and other personal details. Each agency will charge a fee—usually between $5 and $10, although an Equifax freeze will be free for a time. Your reports will then be inaccessible to anyone who might want to steal your information. Although you will still have access to your credit report, if you want to open any kind of account, take out a loan, rent an apartment, or apply for some jobs, you will have to remember to temporarily unfreeze your account for that purpose. You will have a personal identification number given to you when you place the freeze which you will use to unfreeze the account. This can take several days, which could be a problem depending on your situation and will prevent you from accepting any “instant credit” offers from stores or credit cards. All consumers in the U.S. should check all three of their credit reports as soon as possible, then mark your calendar to check them again in three months. Until the extent of the damage caused by the Equifax breach is known, you would be wise to freeze your credit reports for now, but make a note to revisit the freeze in a few months. The Consumer Law Group, P.C. is happy to offer this helpful information to our clients and visitors. If you have specific questions, do not hesitate to connect with us through the link on this page.